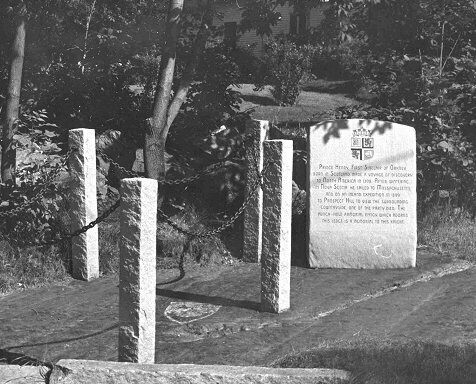 Along Depot Street, near the Abbott School, is an exposed rock that some believe is the grave of a person called the Westford Knight. 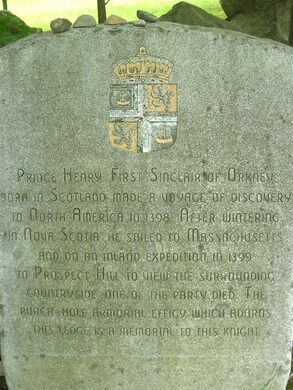 The rock is supposedly engraved with a depiction of a knight holding a downward-pointed sword in one hand and a shield in the other, the latter emblazoned with a coat of arms that apparently identifies him as Sir James Gunn of the Clan Gunn, who was allegedly a Knight Templar. 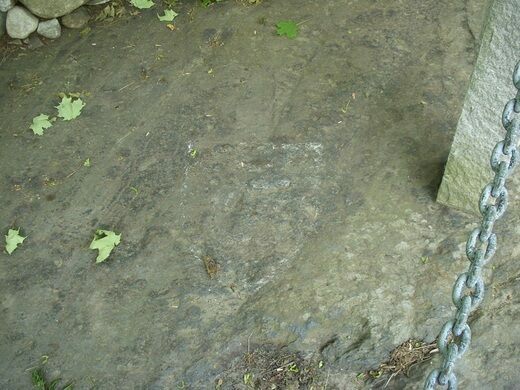 Most believe the markings to be natural scratches from glaciation and that the small T-shaped part taken to be an upside-down sword hilt was really punched into the rock circa the 1900s. The most damning fact for the story is that the rock face would have been buried under feet of soil 600 years ago when the effigy was supposedly carved. 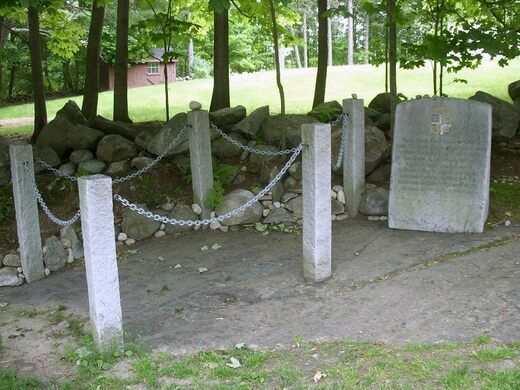 To view the Westford Knight carving in Westford Massachusetts, take I-495 to Exit 32, Boston Road. Then go west on Boston Road toward Westford Center. Just before the Westford Common, turn right onto Lincoln Street and go straight onto Main St. Just past Roudenbush Community Center, bear left onto Depot St and the Westford Knight carving is about 100 yards down Depot St on the right. 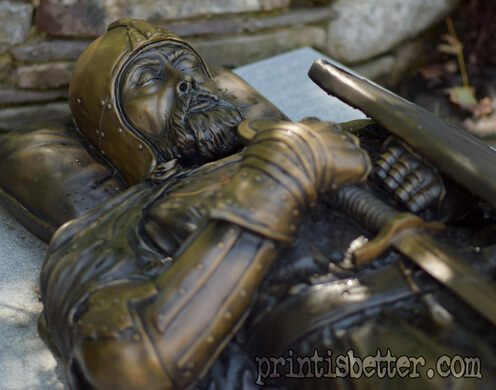 You can park in the Abbot School parking lot, and walk back up Depot to see the stone carving of the Westford Knight.